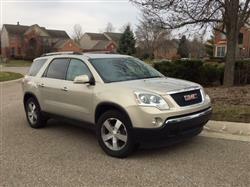 Cash for Cars in Michigan - We Buy Cars Fast! Hey Michigan! If you’re looking to sell your car today, then you’ve come to the right place! We’re here to help you sell your car. No, we're not a shady dealer trying to get a good deal out of you. We’re not here to waste your time with senseless negotiations like your typical private buyer. And unlike junk yards, we know cars. 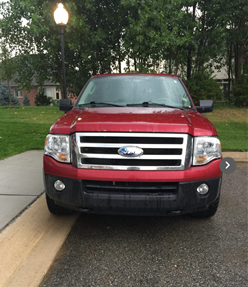 We understand every vehicle is unique and deserves to be evaluated as such. We know that selling a car is tough work. It can take up all your time and effort. We pride ourselves in being different from the competition. 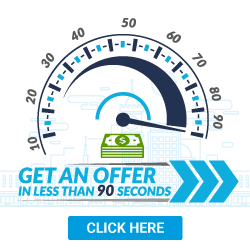 We can make offers on most makes and models in just 90 seconds! We have a simple step-by-step process than can get you quick cash for your car! Simply click here and get started today! CarBrain buys almost every make and model sold in the United States, with service all throughout Michigan. We can purchase your car even with collision damage, mechanical issues, in totaled or wrecked condition, with vandalism damage - pretty much in any shape. We have developed a sales process made just for you. 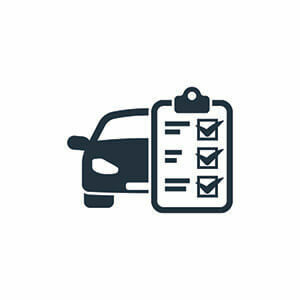 To get started, simply gather as much accurate information for your car and submit it to our unique CarBrain price engine. We’ll make an offer on most cars almost instantly. Click here to get an offer. Selling your vehicle is always a top priority even if it's clean or damaged. Where you sell your car can affect how much you get for it. Some buyers will only take cars that are pristine with no issues. Others will only buy them wrecked. But all these buyers share the same goal: they want to take the car from you and cut every corner possible to make sure they get the best deal and you don't. Junk and scrap yards are only in it for the scrap value of the car. Their so called ‘cash for cars’ offer is based on the what they can salvage it for. And that's never enough. You want to make sure you get the full value of your car. Don't waste your time with private buyers and dealers, unless you want to spend your days answering calls and meeting strangers. You’ll always be able to expect shady sales tactics. All you’re going to do when you meet them is just haggle back and forth for an offer that you're not going to accept. CarBrain knows how the competition works and we know your time is valuable. We’re here to make the car-selling experience a pleasurable one. We’ve used our 30 years of car-buying experience to develop an intelligent and interactive pricing system. With only a few clicks we can make an offer on your car. It just takes 90 seconds for most makes and models. We’ll give you a guaranteed offer with FREE towing. Don't wait! You can start our quick and easy step-by-step process by clicking here. If you’re done sitting around waiting for the right buyer then perhaps it’s time you get ready to sell. When the buyer has made the offer and is ready to buy, you should be too. Not being ready can cause you to lose out on the deal or, more importantly, on money! If only there was someone who could guide in the right direction to make sure you get the best deal for your car. Good news! CarBrain is here to help you get that deal. Here are a few things you should know before selling your car. Don't remove any original parts. It doesn't matter what type of issues your car has - whether it’s collision damage from an accident, mechanical issues, flooding or water damage, or even if your car just stopped running. Make sure to leave your car with all its original manufactured parts. 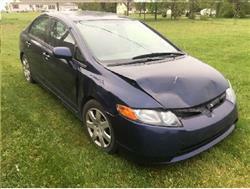 Even if the parts are damaged, the buyer always wants the car as complete as possible. Provide a key with the car. A car with no key is like a canoe with no paddle. Make sure to have at least one key when you sell your car. If the buyer can't open the car or try to crank it up, it could cause your offer to drop. Also, some keys can cost hundreds of dollars and no buyer wants incur that cost needlessly. Not having a key can negatively affect your offer, so be sure to always have one. Make sure to have all the paperwork. You received an offer, and you're ready to move forward. Make sure that you are ready to accept the offer and get your cash right away. In Michigan, all you need is the title for the car and a valid form of ID. If the documents are not ready when the offer comes around then you might lose out on it. It can take up to a month or more to get some of these documents from the state. By that time, the buyer’s offer could change. Great! You’re ready to get an offer and sell your car. CarBrain is here to help. We have purchased thousands of cars all across the United States. Our interactive pricing engine will make you the best cash offer around and we’ll tow it for FREE. Most make and models receive an offer in just 90 seconds! Get started today - click here. 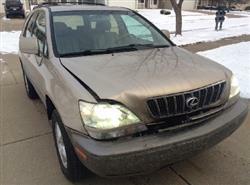 If you have a damaged car then maybe the thought of repairing it has bounced around in your head. If so, discard that idea. Repairing a vehicle is a world of its own. To start, you have to find a shop to provide a quote. Most shops require the vehicle to be on site to give an estimate. If your car isn't safe to drive or it doesn't start, that can be a problem. It will cost you hundreds of dollars just to tow the car from shop to shop, and all that effort is just for an estimate. You won't know the true cost of repair until you've already started. By that time it could be too late and you’ve spent double the initial repair estimate or more! Selling your car is almost always a drag. Most of the time you’ll spend weeks or months searching for the right buyer to offer a fair price. That;s until CarBrain stepped in and simplified the way you sell your car. We’ve seen every trick in the book used by our competitors. 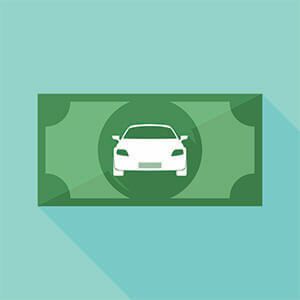 We’ve created a simple and interactive way to get cash for your car. 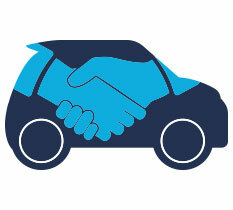 Through our three-step process, you can have an offer on your car in just 90 seconds! 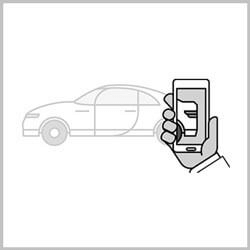 Enter your vehicle with as much accurate information as possible, For the most part our vehicles will receive an instant offer. And other unique vehicles might need some additional information so please have some pictures and a VIN number ready if needed. Rest assured you will receive a top market cash offer at the end of our process. “I got my offer! And i'm ready to get paid.” Just provide us with some proof of ownership and make sure to have your title and valid ID ready and we will assist you in getting your pick up scheduled and ready. We know there's a world of car buyers out there. We also know all the tricks they have up their sleeves. If you want to sell your car and not worry about getting lowball offer after lowball offer from strangers or sitting around waiting for a call, then CarBrain is for you. We have a dedicated team ready to assist you. We will provide you with the best cash offer around and we’ll pick it up for free in a timely manner. Simply submit your vehicle here today to get started. We provide free towing to any of our Michigan locations. What should you know before selling to a junkyard or private buyers in Michigan?